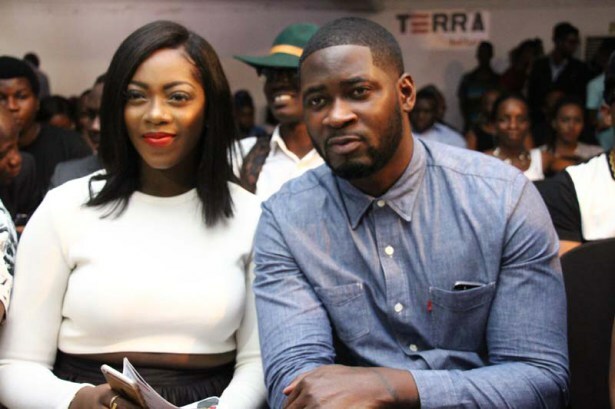 Tiwa Savages' husband Tee Billz who attempted suicide last year is a changed man now. He took to Instagram to share a piece about his life. Tee Billz says he never thought he'd be able to laugh again. He's thankful to God and has been out there motivating people. Thats a really good thing. "When you are in a dark place, from my own personal experience I know it's very hard to believe anything good and even the concept of God is questionable at that moment. Trust me, God will definitely come through for you..... About a year ago I never thought I will have a reason to laugh again. But God's Mercies and Grace are beyond human COMPREHENSION !TRUST in Him.Keep HOPE Alive.Have FAITH in God's Faithfulness.He is your FATHER and His LOVE for you is Eternal and Unconditional.If you can see and believe this HELP is on the way.Hopefully this picture can help someone out there that is poisoned by stress, under pressure, feeling pain or afraid of failure.Know this for SURE my God can fix every broken situation in your life....NEVER give up ...Keep on Keeping on !!! You will ALSO LAUGH again soon.❤️😎💪🏾"